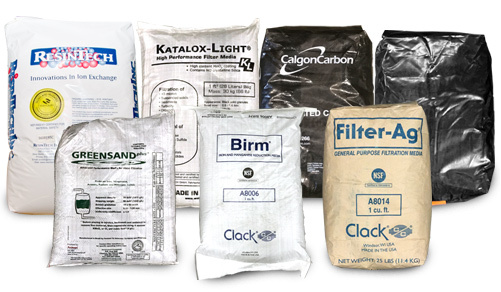 Every type of filtration media you may need for your water treatment system. Ranging from Antracite, Birm, Calcite, Catalox, Centaur Carbon, Corosex, Filter AG, Granular Activated Carbon, Manganese Greensand, Pot Ash, Soda Ash, Tannin Resins, and multi-blends. Please call 1-800-767-8731 if you don't see what you are looking for, or need a custom blend of materials. Macroporous Strong Base Anion Exchange Resin for nitrate removal in residential and community water systems.